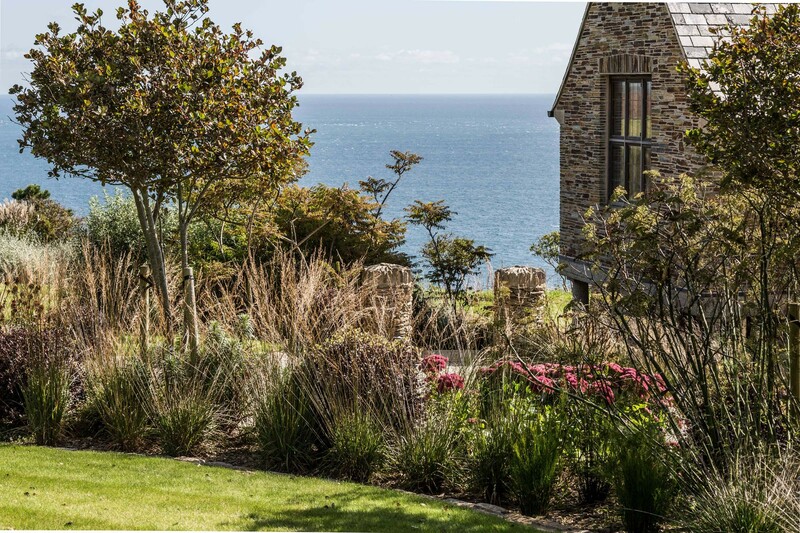 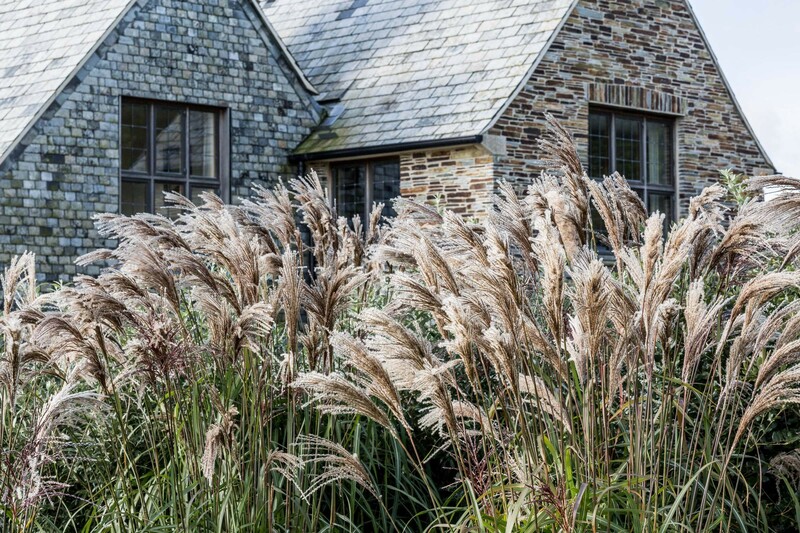 Our South Hams project needed an exceptional garden to reflect an exceptional house and location. 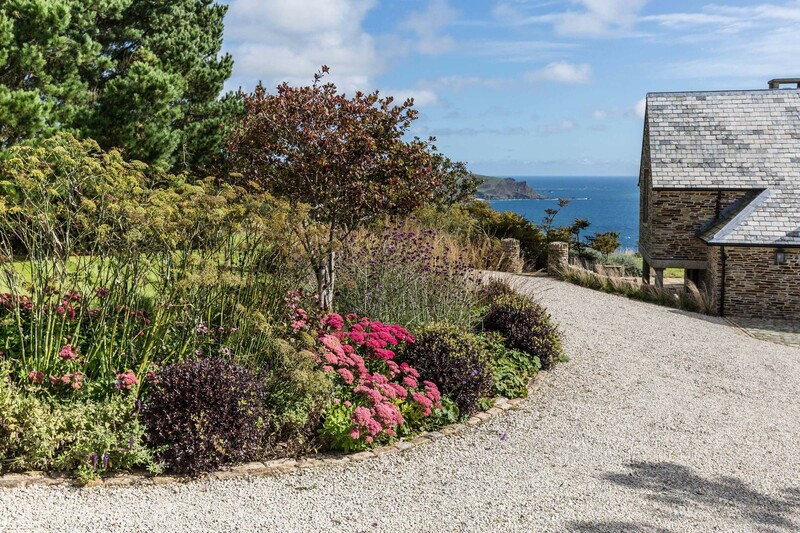 The garden features a series of areas including a sheltered formal courtyard, a lookout over the sea, a sunken seating area and a sweeping driveway. 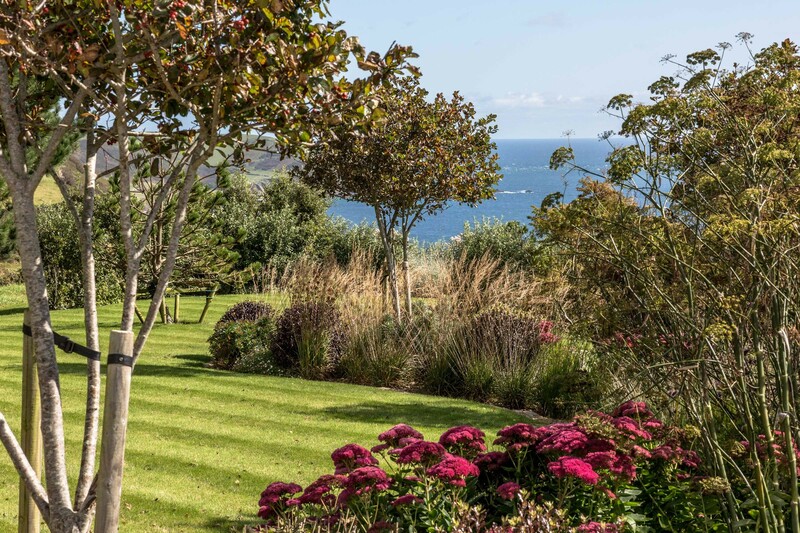 Creating windbreaks of Eleagnus quicksilver, Quercus Ilex and Teucrium allowed us to plant pockets of less hardier plants that could survive the cliff top conditions. 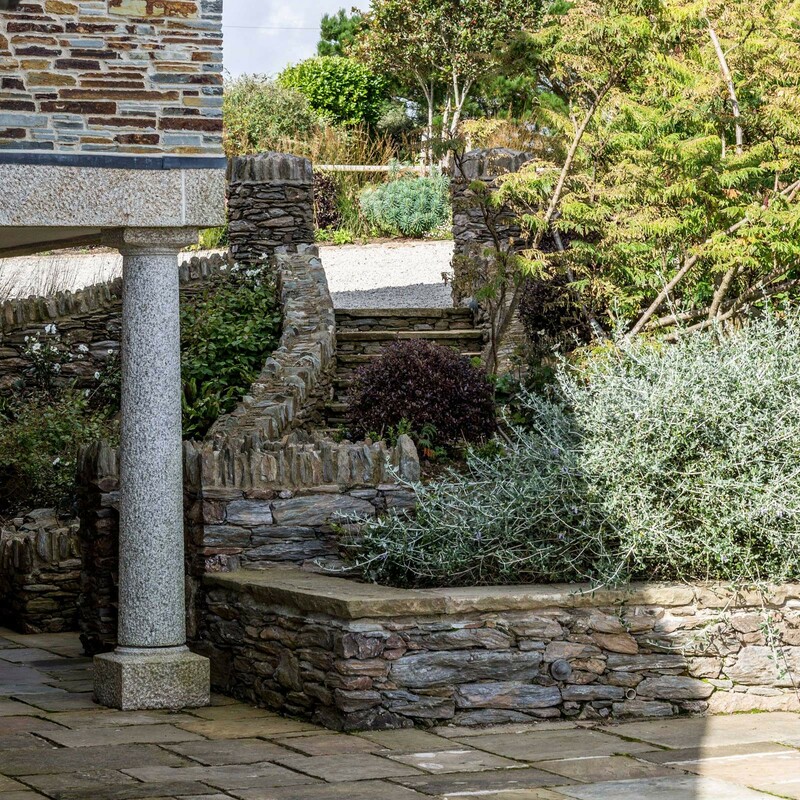 Plants are selected to be hardy to the battering wind conditions, low lying Erigeron, beautiful in it’s simplicity vie for attention next to dramatic grasses, fennel and euphorbia.